The Goldfields Giants are a semi-professional basketball club based in the West Australian regional city of Kalgoorlie-Boulder. The Giants are a division of the Kalgoorlie-Boulder Basketball Association, the major administrative body for basketball in the region. 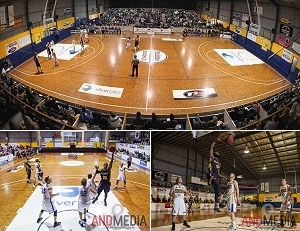 The club competes in the State Basketball League of Western Australia (SBL) and plays out of the 1200-capacity Niels Hansen Basketball Stadium. The SBL runs from mid March through to late August and comprises 14 teams. The Giants are one of four clubs from regional cities (along with the South West Slammers, Geraldton Buccaneers and Mandurah Magic), while ten teams are based within the Perth metropolitan area.